It gives power to the state legislature to define Jammu and Kashmir's residents and their privileges. 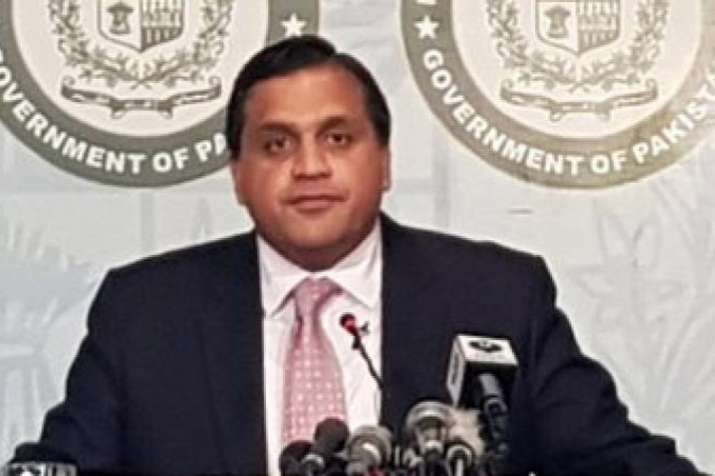 Pakistan Foreign Office spokesman Mohammad Faisal has said that Islamabad will never accept India repealing Article 370 of its Constitution that gives autonomous status to Jammu and Kashmir. Faisal made the remark during his weekly press briefing on Friday here, reports Radio Pakistan. "Pakistan will never accept the repeal of Article 370 of the Indian Constitution... Kashmiri people will also not allow this to happen ever. "Besides violating the rights of Kashmiris, it will also contravene relevant UNSC (UN Security Council) Resolutions," the spokesman said while replying to a question. Article 370 was incorporated in India's Constitution in October 1949. It exempts Jammu and Kashmir from the country's Constitution, while allowing the state to draft its own. It also gives power to the state legislature to define Jammu and Kashmir's residents and their privileges. In the briefing, Faisal regretted that India postponed the Kartarpur Corridor meeting earlier this week. "Indian side has expressed willingness to attend a technical-level meeting on the issue on 15th and 16th of this month, which will hopefully set the pace for further talks," a Pakistani website quoted the spokesman as saying. He reiterated Pakistan's commitment to complete its side of Kartarpur Corridor before the 550th birth anniversary of Sikh founder Guru Nanak later this year. Faisal also announced that Pakistan was releasing 360 Indian prisoners -- 483 fishermen, 54 civilian -- on humanitarian basis upon completion of their sentences from April 8 onwards. "One hundred fishermen will be released on Monday (April 8) with another batch of hundred on the 15th of this month. "It will be followed by the release of additional 100 fishermen on April 22." He said the last batch of 60 Indian prisoners -- five fishermen, 55 civilians -- will be released on April 29.